Horror festers within the shadows, we’re told, but what if it makes its way into the sunshine? In the myriad cultures she has long haunted, the folkloric figure of the noonday witch is a nightmare queen who runs by variations of the same name across borders: she is Poludnytsya in Ukrainian, Poludnitsa in Bulgarian, Poludnica in Serbian, while for the Polish she is known as Południca. In Czech, she is Polednice, the original name of Jiří Sádek’s 2016 psychological horror film The Noonday Witch. While recalling at times both The Babadook (Jennifer Kent, 2014) and The Reflecting Skin (Philip Ridley, 1990), the influence that echoes the strongest is Karel Jaromír Erben’s classic poem of the same name: a short but haunting tale of a mother and child deserted by the father and left to fend for themselves against a supernatural figure with a taste for the summery lunchtime abductions of wayward, disobedient children. Using the folktale as its starting point, Sádek’s film finds Eliška (Aňa Geislerová) and her daughter Anetka (Karolína Lipowská) taking up residence on the outskirts of a small, rural Czech village during a heatwave. Returning to the place where Eliška’s husband and Anetka’s father Tomáš grew up, the film is permeated by memories of him, his absence providing the very trauma that defines the relationship between its mother and daughter protagonists. Those who recall Tomáš in his youth – Mayor Mráz (Zdeněk Mucha) and Tomáš’s childhood friend Zdeněk (Jiří Štrébl) – rally to support Eliška and her plight of newfound single motherhood, but she faces greater challenges, brought literally to her doorstep by the Mayor’s peculiar wife Anežka (Daniela Kolářová). Warning Eliška with increasing fervour of the looming threat of the polednice to Anetka, Eliška discovers through the secret of Anežka’s troubled past and her own dwindling grasp on reality that the darkest aspects of the human psyche can sometimes manifest in the brightest light of day. Aside from Geislerová’s extraordinary central performance (perhaps not coincidentally channeling Essie Davis’s Amelia from The Babadook), it is the manner with which Sádek and cinematographer Alexander Šurkala construct a sense of dread and terror in broad daylight that grants The Noonday Witch its powerful, unrelenting grasp. The movie opens with a close-up of brilliant yellow wheat, unmoving in the sunlight, pulling back to reveal vast buttery fields. In any other context this would surely be a pastoral idyll, but here – with the addition of British composer Ben Corrigan’s moody score – the glare and hue blast just that little too hard, imparting an uncomfortable air of near-radioactive toxicity. While undeniably beautiful, there is in the visual surfaces of The Noonday Witch an aesthetic that sparks within us an almost intuitive desire to turn away, to cover our eyes. A sense of suffocation is heightened further as the heatwave that riddles the village intensifies. When the water runs out, the villagers feel the pull towards drinking more alcohol, growing groggier and more sluggish, less in tune with the domestic tragedy unfolding before them. Flies hover unrelentingly, the decay sets in, and paranoia becomes a natural way of thinking. Anetka’s mistrust and anger and Eliška’s terror and guilt blur, and the ghastly figures that have plagued the village’s past soon become a viable explanation for the descent into chaos that marks the film’s final act. Yet ultimately The Noonday Witch is as much a love story between mother and daughter as it is a traditional horror film. Women are granted space for their personalities, identities and moralities to shift and evolve, and the film in large part follows how Anetka and Eliška adapt to the sudden and irrevocable changes of their circumstances. At numerous times throughout the film, the equiluminance of Geislerová’s signature red hair finds her often merging into her surroundings – on a bus, in her new house – in a sleight of stylistic hand that underscores how we can so often figuratively find ourselves being sucked into our surroundings. The Noonday Witch is an exquisite reminder of how we can perhaps unwittingly soak up the bad vibes of tragic histories. Sometimes the darkest things can exist right before us, clear as day in the afternoon sunlight. The Noonday Witch is the Opening Night film of the 4th Czech and Slovak Film Festival of Australia, screening in Melbourne at ACMI on Thursday 15 September at 7.00pm and in Canberra at the Arc Cinema on Friday 7 October at 7.00pm. 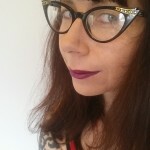 Alexandra Heller-Nicholas has written four books on cult, exploitation and horror film. She is a film critic on Triple R’s Plato’s Cave programme and an editor at the film journal Senses of Cinema.